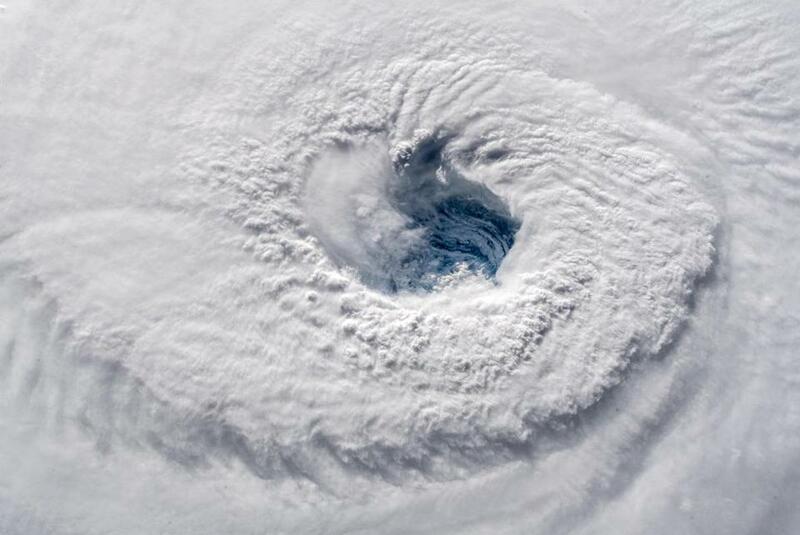 Hurricane Florence churned through the Atlantic Ocean on Wednesday. 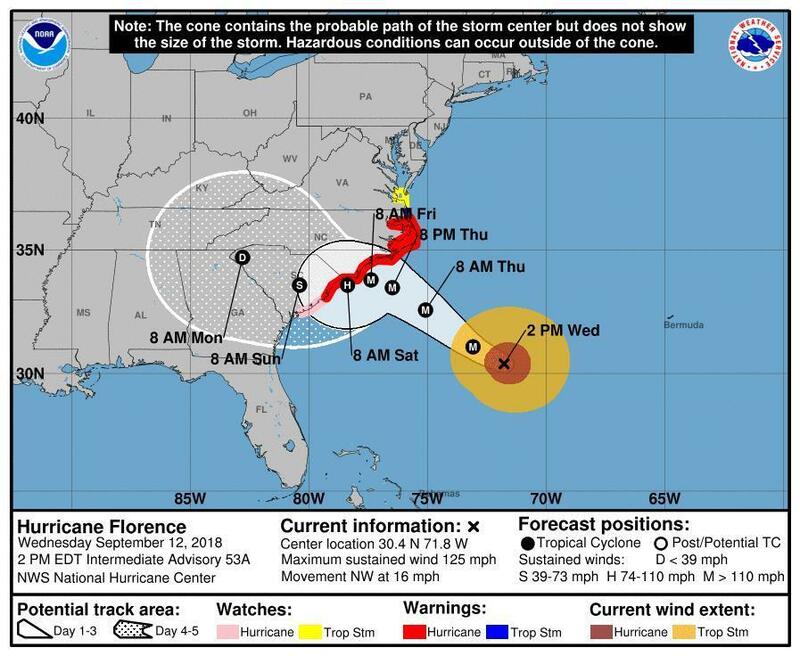 Hurricane Florence’s projected track shifted somewhat south and west on Wednesday, with National Hurricane Center forecasters predicting that it could throw Georgia into peril as the storm moves inland. 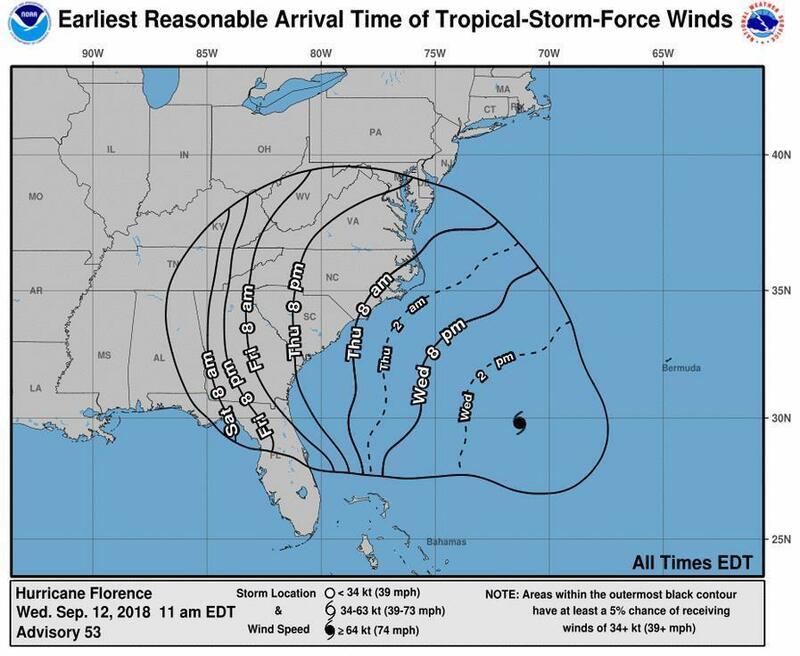 The timing of the storm has also changed as forecasters warned that Florence could hesitate just offshore for days — punishing a longer stretch of coastline harder than previously feared — before pushing inland over the weekend. 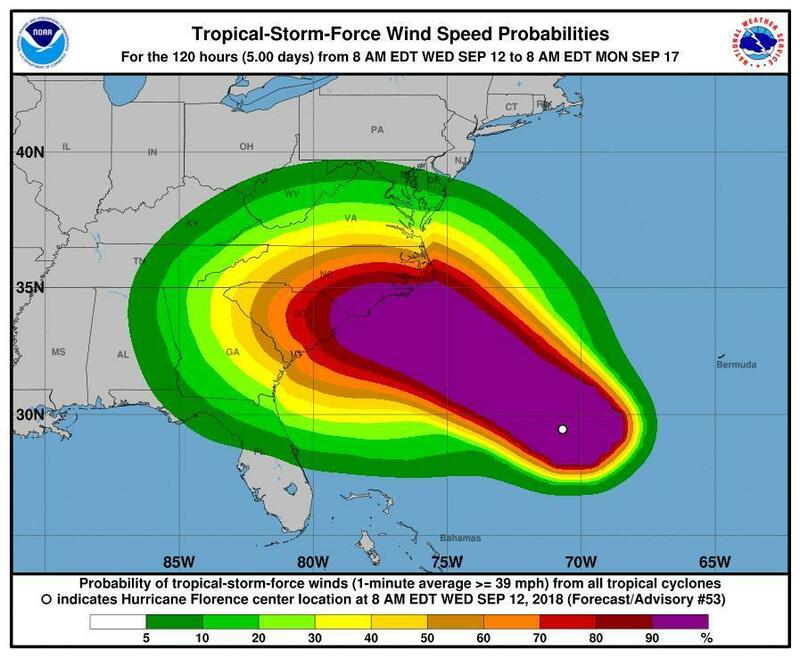 The hurricane center’s projected track Wednesday had Florence hovering off the southern North Carolina coast from Thursday night until landfall Saturday morning or so, about a day later than previously expected. 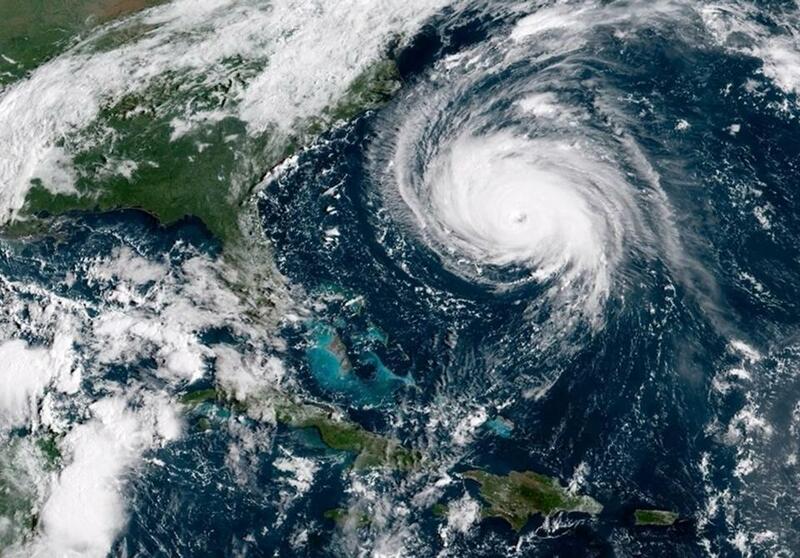 The new track prompted Georgia’s governor to declare a state of emergency for all 159 counties on Tuesday afternoon. If some of the computer projections hold, ‘‘it’s going to come roaring up to the coast Thursday night and say, ‘I’m not sure I really want to do this, and I’ll just take a tour of the coast and decide where I want to go inland,’’’ said Jeff Masters, meteorology director of the private Weather Underground forecasting service. Forty inches of rain, 13 feet of storm surge, millions without power. It all adds up to one devastating storm. 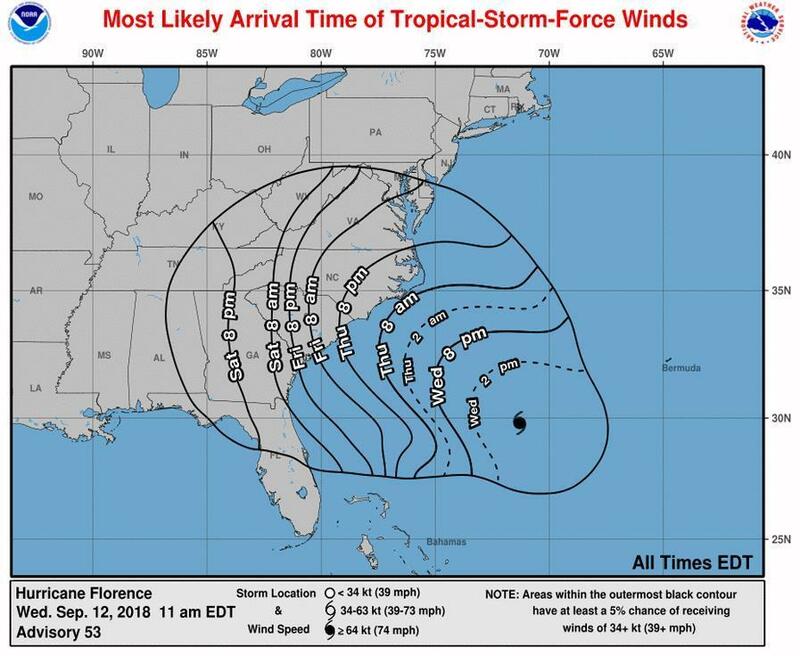 The earliest reasonable time that tropical storm force winds could arrive on the East Coast is Thursday morning, and the most likely time is Thursday mid- to late-day. 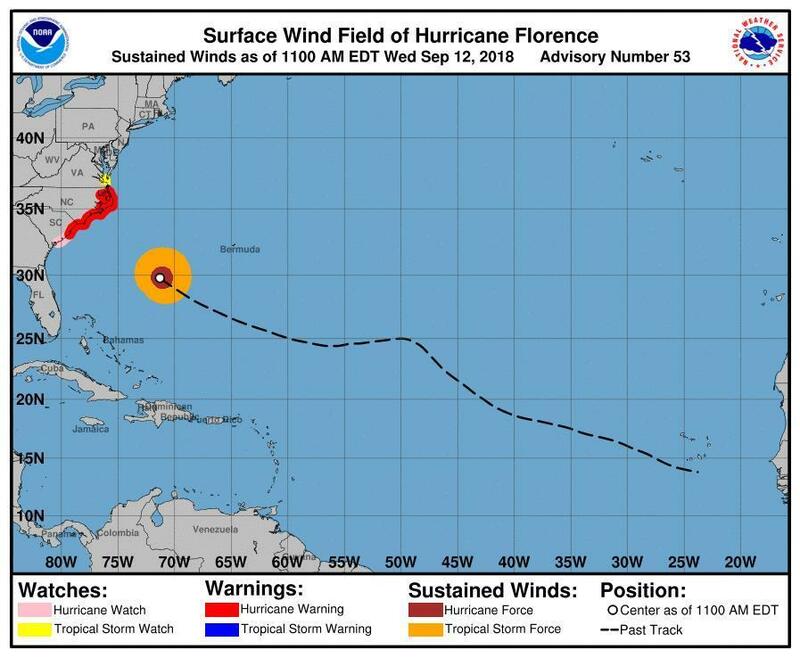 A hurricane warning was also in effect for all of the North Carolina coast and the northern coast of South Carolina, while a hurricane watch was in effect for the rest of the South Carolina seaboard. 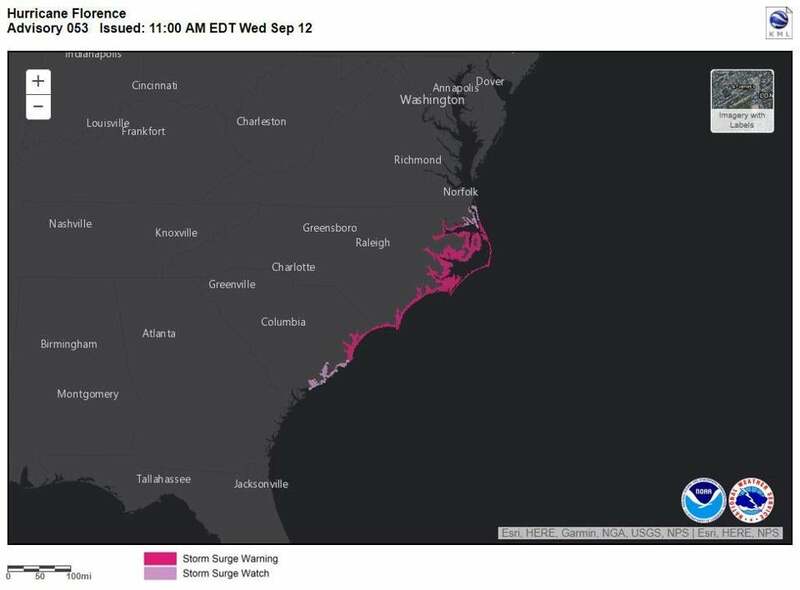 A tropical storm watch was also in effect for parts of Virginia. 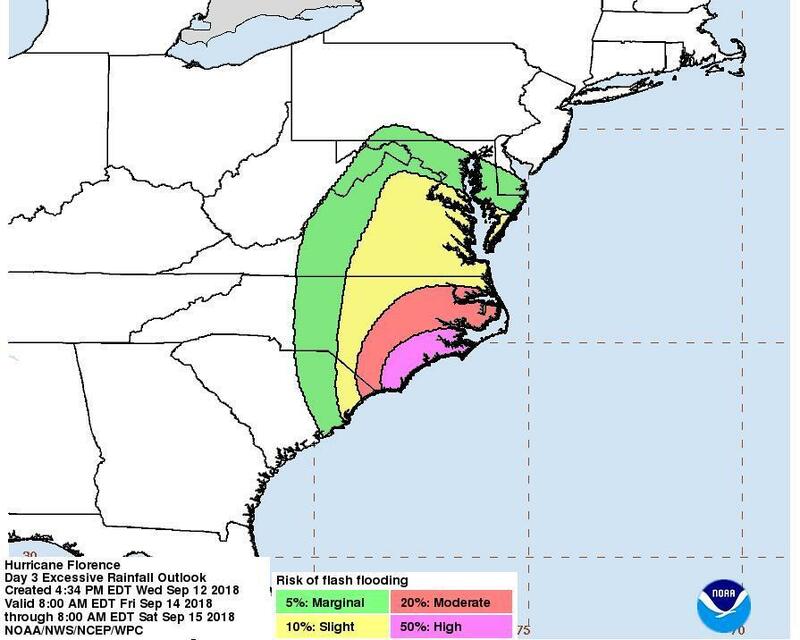 The storm is also expected to trigger “life-threatening, catastrophic flash flooding & significant river flooding over portions of the Carolinas and Mid-Atlantic states from late this week into early next week,” forecasters wrote on Twitter Tuesday. 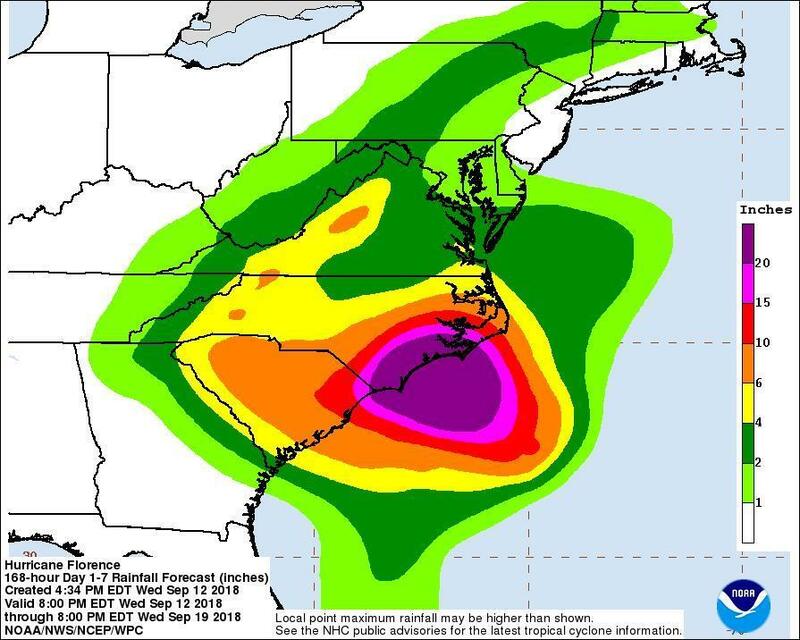 Seven-day rainfall totals are forecast to reach 10 to 20 inches over much of North Carolina and parts of South Carolina, with as much as 30 inches in some places. 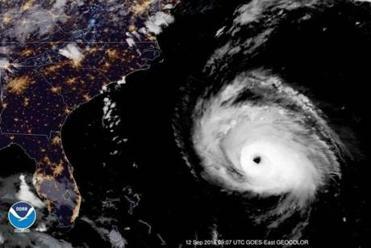 A satellite image taken Wednesday showed Hurricane Florence approaching the US coast.